Welcome to Melanie’s January News! Its been a busy month with work, however we did manage to go to a few places this month. 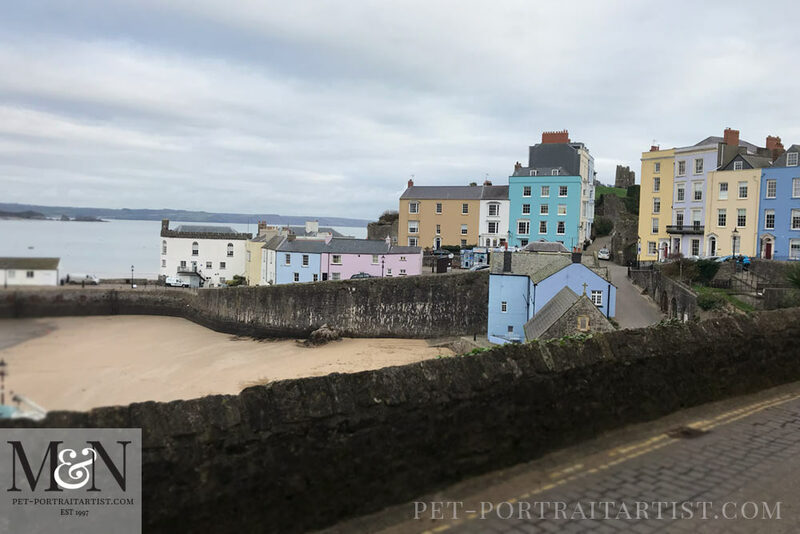 Starting with a favourite place of ours called Tenby. I have to say its best visited out of season. 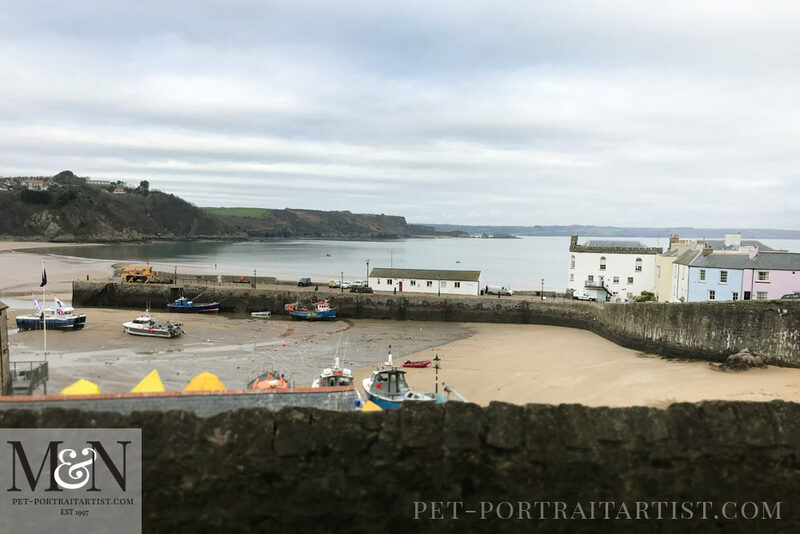 It is such a pretty little town, really quaint and full of history that it is inundated with tourists in the summer months. We often go there while Lily is at the groomers and have lunch in a place called The Qube. 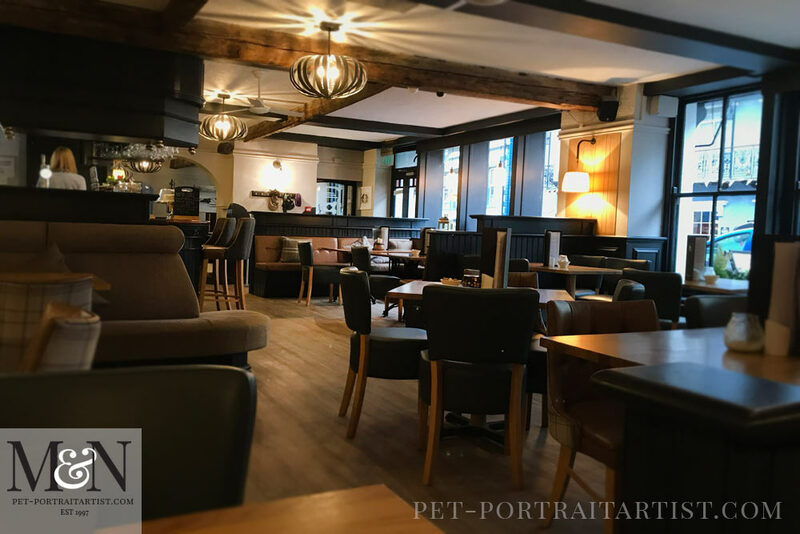 It isn’t dog friendly, we don’t usually go to non dog friendly places to eat, we always like to take Lily with us, however when its her pamper day we have free rein! The photos below are of Teby and The Qube. We also went to another favourite place this month, called Llansteffan where we walked Lily with a lovely friend and their dog. Not only a beach walk but a woodland walk too. As it is by the sea the snowdrops are much further forward than where we live and there were already two clumps in full bloom. Hopefully spring isn’t too far away! 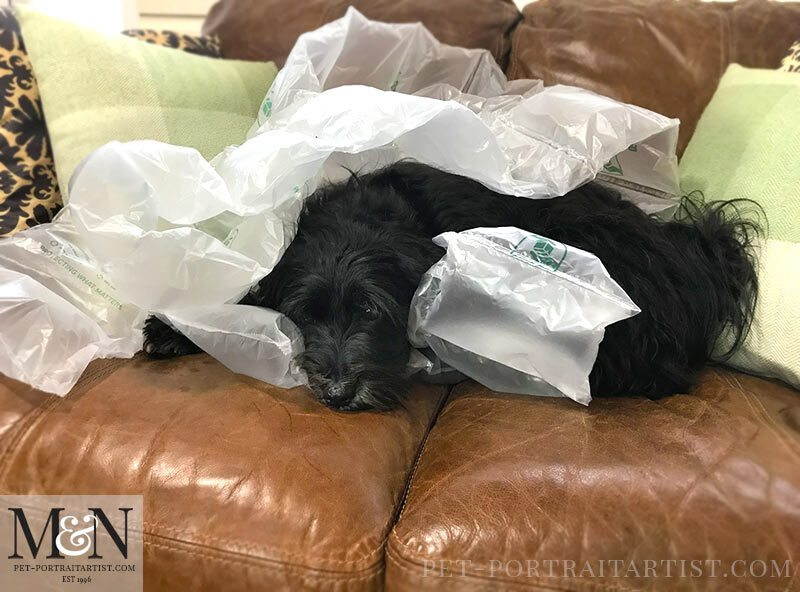 We have been packing portraits in the studio in the last few days and I got out all of the packaging and some went on the studio sofa. Lily though this was the best opportunity to raccoon herself in between the lovely soft cushions of air!! Definitely a photo opportunity! 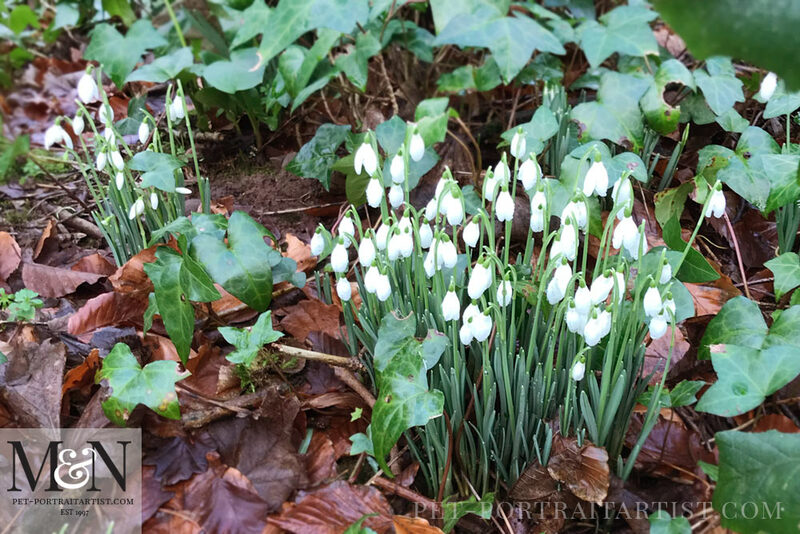 I hope that you have enjoyed reading out Melanie’s January News! Hopefully we will visit some more interesting places in February to post about. If there is anywhere in Wales that you think we should visit and taken photos of to show here, just drop us line! Wales is full of historical little towns and villages.